OBJECTIVE: Primary: To build awareness for Milady’s by utilizing popular women’s interest magazine brands. TARGETING: SA females, aged 18-45 interested in health, wellbeing, fashion and beauty. 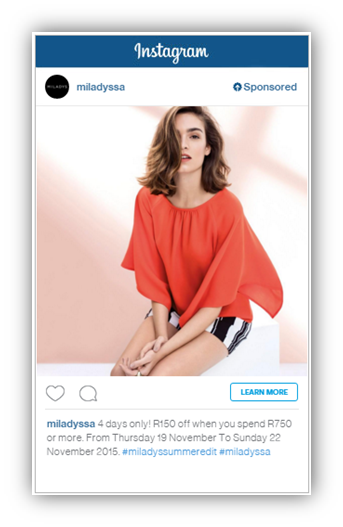 This campaign performed well on Facebook, as the click through rate was higher than the industry average at the time of 0.33%. The cost per click was also much lower than industry average at the time at R6.17. Vroukeur performed the best in terms of CPC at R0.82. 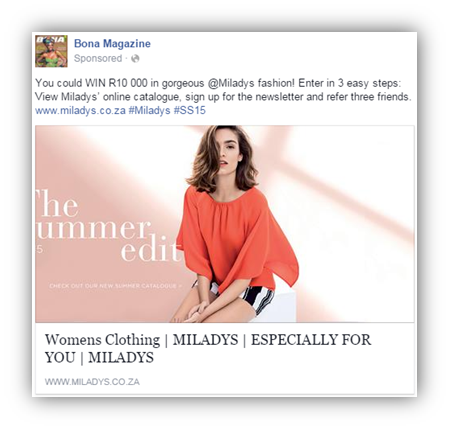 OBJECTIVE: To utilise popular women’s interest magazine brands to build awareness for Milady’s. 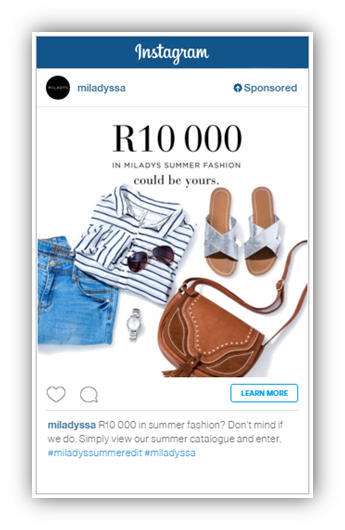 This campaign performed satisfactorily on Instagram with the click through rate below industry average BUT we achieved a cost per click sufficiently lower than the industry ave which was at R10.29. 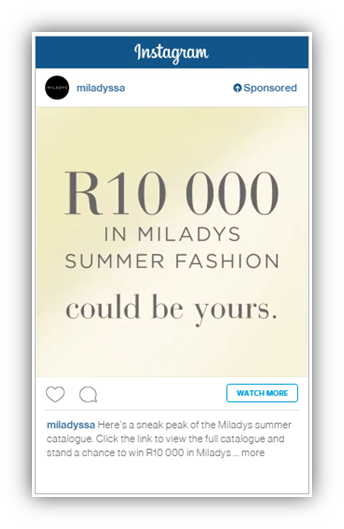 The campaign’s objective was to create awareness so the CPC was not a significant factor for Milady’s.